After weeks of speculation, debating and social media fume, Everton have finally got their man. Ronald Koeman has joined the Blues from Southampton after Everton agreed a compensation package of £5m with the Saints and handed Koeman a yearly salary upwards of £6m. Yes, you read that correctly. Everton have paid for a new manager, and are giving him serious cash for his services. The way the Koeman saga has panned out truly signifies a new era at Everton, one of ambition, money and winning – rather than the Kenwright years of plucky little Everton punching above their weight. 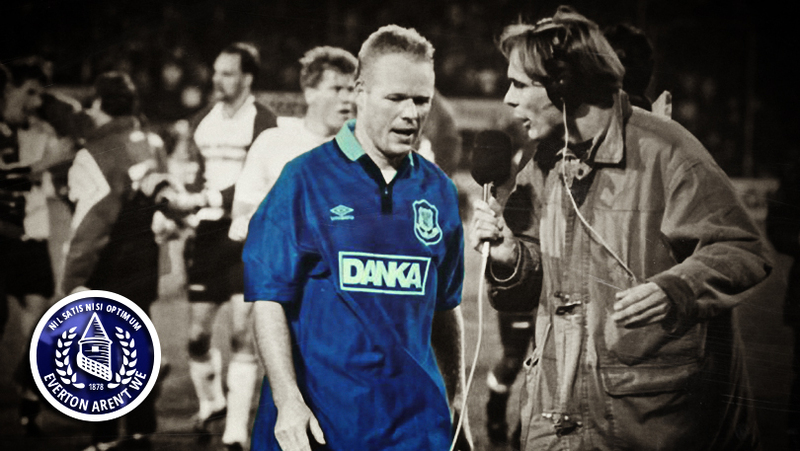 Ronald Koeman was clearly first choice for the Goodison hot seat from the start. 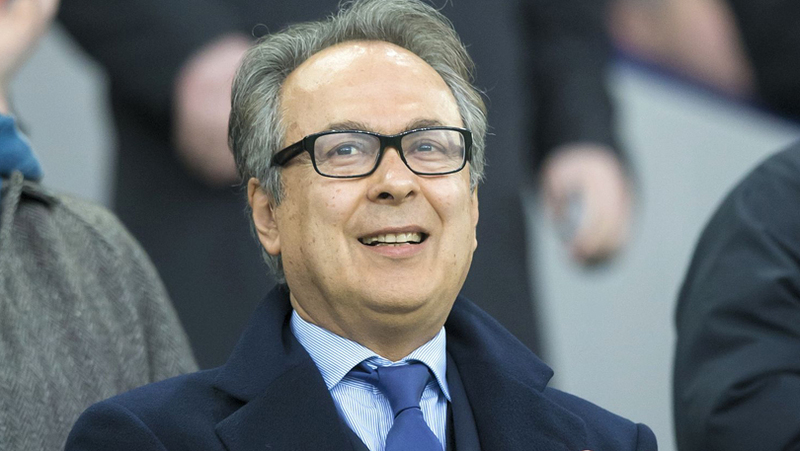 Reports suggested he wasn’t keen on the job initially, until Farhad Moshiri waved in his face a bumper contract and a huge transfer war chest to build a squad capable of winning things, which he simply couldn’t get at the Saints. The allure of awakening the clichéd ‘sleeping giant’ of Everton may have played a part, but what pleases me is the fact that with the financial clout we now possess, Everton are finally starting to act like a big club again. We aren’t looking around for an unproven quantity to get lucky with – we are getting a proven winner who will not let the club down in the way past managers have. We have neglected our past and settled for second best for too long – gone are the days when we would watch helplessly as we sold our home-grown icons and put in laughable bids for players we could never dream of having. Everton mean business and if the suggestions that Sevilla’s transfer wizard Monchi is on his way to L4 are on the money, we have clear evidence that Farhad Moshiri has come to turn Everton into winners and he, unlike the previous regime, believes in the club’s motto. Koeman himself has worked wonders with Southampton – for two seasons finishing in the top seven, despite mass exoduses in both transfer windows he worked there. He has played fast, dynamic football that has swept away some great sides – the 4-2 demolition of Manchester City towards the end of last season comes to mind. The Dutchman has brought some fantastic talent to the South coast, with the likes of Sadio Mane, Graziano Pelle and Dusan Tadic particularly catching the eye of fans across the league. His shrewdness in the transfer market will be crucial in a window where Everton could spend upwards of £100m and many deadwood players will be shown the door. Moshiri has chosen the ideal man to take Everton through the window and on to the next level. His record with previous clubs is positive too. He has won Dutch titles with both Ajax and PSV Eindhoven, as well as spearheading the resurgence of Feyenoord back into European football. His record at Valencia wasn’t the best, but he still managed to win the Copa del Rey during his time at the Mestalla. He certainly has the credentials to lead Everton forward into better times. Every Evertonian has the right to be excited about this new chapter. Moshiri is here with cash to burn, and when the manager can get to work with a new Director of Football on securing transfer targets, a summer of positivity and excitement beckons for the born again Mersey Millionaires. Times are changing and Everton have firmly grasped their place at the Premier League’s top table. Failure is no longer going to be tolerated. Mike lad dry your eyes thought you’d be used to managers going to bigger clubs by now? First point. He doesnt have cash to burn. Thats why hes rich. Second point. Kenwrights years of plucky little everton punching above their weight were far better than johnsons years of near financial ruin. Third point. Dont forget it was kenwright who has brought him in as he has promised for years. Would you rather he handed over to anyone like doug ellis did at villa a very similar size club as everton? This whole article makes me feel like you dont support the club i do. Failure will no longer be tolerated? 1) Cash to burn is an expression. 2) Yes they were. Just as the Moshiri years will be btter than the Kenwright years. 3) He got us the right man but took him over 15 years and he done very well of us. I’m not madly anti Kenwright but he isn’t a god, he’s a businessman. And if you want to support a club that tolerates failure, then I’m glad you don’t feel like I support your club, cos that club ain’t Everton anymore. 1st point – well he has substantially more than anyone else who has ever taken ownership of our club and clearly isn’t afraid of putting up where it matters to secure us one of the most promising managers in premier league if not Europe, this window will also demonstrate his level of financial commitment. If we are abke to secure Monchi also then he could even make a substantial profit if his similar success in the market can be repeated. Point 2 – Agreed, for thise of us who can remember it was the depth of Evertons recent unglorious history, with the transfer of Big Dunc behind everyones back being the low-point of his tenure and i remember rejoicing when Kenwright ‘saved us’ and we thrashed Sunderland 5-0 but the times did not bring back the glory days. Point 3 – Yes Kenwright has brought him in, which kind of validates the point of him not being able to lead us back to where we all want to be and which our motto, (remembering Kenwright endorsed its removal from our crest, albeit temporary thanks to us fans), so proudly exclaims. This watershed moment in Evertons history should be uniting all fans and Kenwright hopefully is acknoledged in our history as a key player in the most challenging of times. And thanks to him and Moshiri for the first time in decades i’m actually looking forward to a transfer window, nil satis nisi optimum, and long may it continue! You have an advantage there Everton, you now know you will not get honesty or loyalty from the man. Congratulations to Everton they have got their man. Koeman was our manager and was Committed to Southampton until a large wad of money was placed under his nose. I and many other Saints fans never thought this happen. Big Ron postured and told us he would honour his contract no matter what. Amazingly, in this moral drought of a football world we believed him. But Big Ron is very clever he knew he punched above his weight with the Saints. 6th place is, realistically as good as it gets for us. Four years ago 6th place would have been unheard of. So good luck to Big Ron, I hope all goes well for all you Everton fans but please do not believe all you hear from Big Ron.